The Bugatti Chiron costs £2.5 million, it can hit a top speed of 261mph thanks to its 8.0-litre, W16 engine developing a staggering 1479bhp and only 500 will be made and sold. Let’s face it, you are never going to own a Bugatti Chiron. 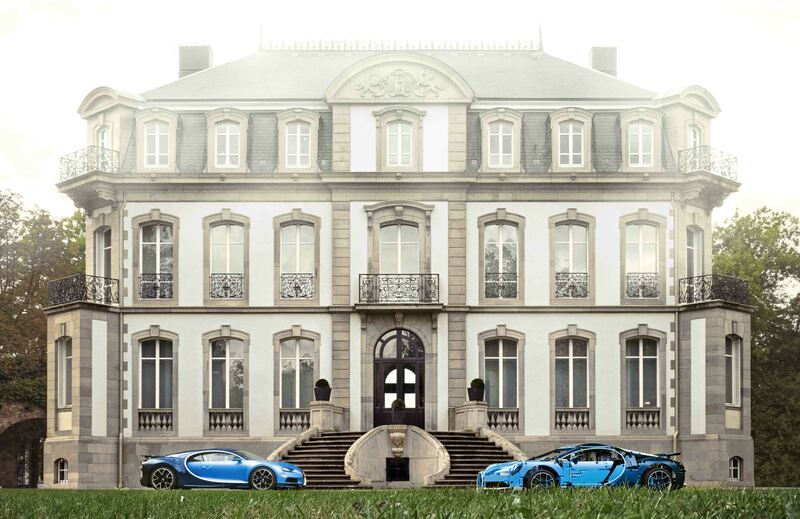 In fact, you’ll be lucky to even get close to a Bugatti Chiron. Consider yourself lucky if you so much as hear a Bugatti Chiron in the flesh. 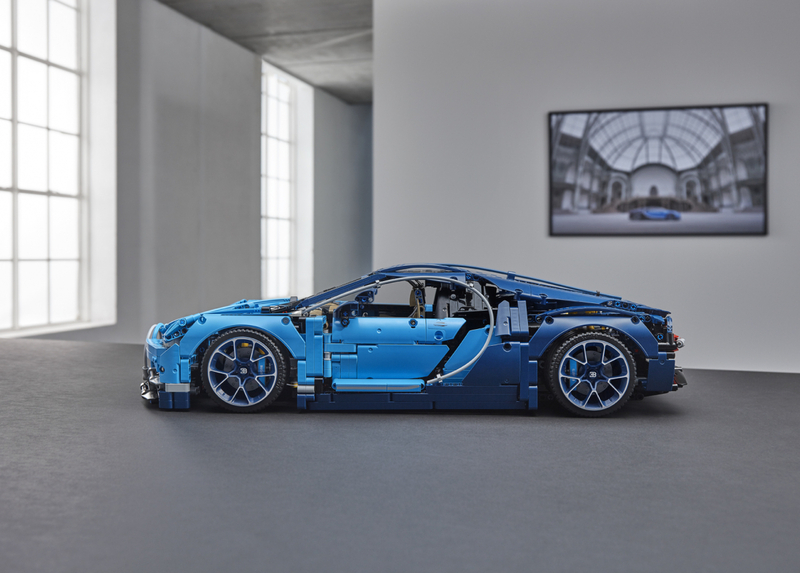 Thankfully, there is some consolation in the fact that you could part with £329.99 and become the proud owner of 14cm high, 56cm wide and 25cm wide LEGO Technic Bugatti Chiron replica. 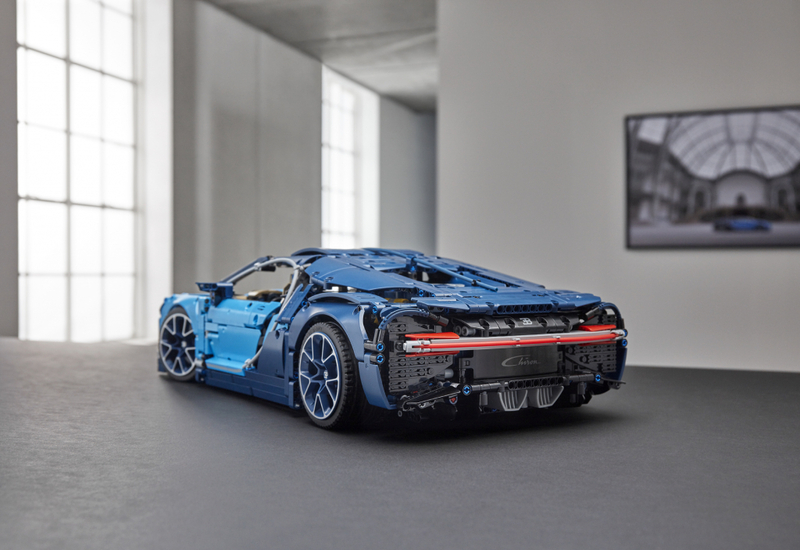 The exclusive 1:8 scale LEGO Technic Bugatti Chiron model follows in the footsteps of the extremely popular Porsche 911 GT3 RS, which sold out soon after it was released in 2016. An eye-watering 3,600 pieces (best get the kettle on) includes aerodynamic bodywork with an active rear wing, spoked rims with low-profile tires, a detailed cockpit with movable paddle gearshift, and detailed W16 engine with moving pistons. There’s even a Technic 8-speed gearbox and a steering wheel sporting the universally recognisable Bugatti emblem. 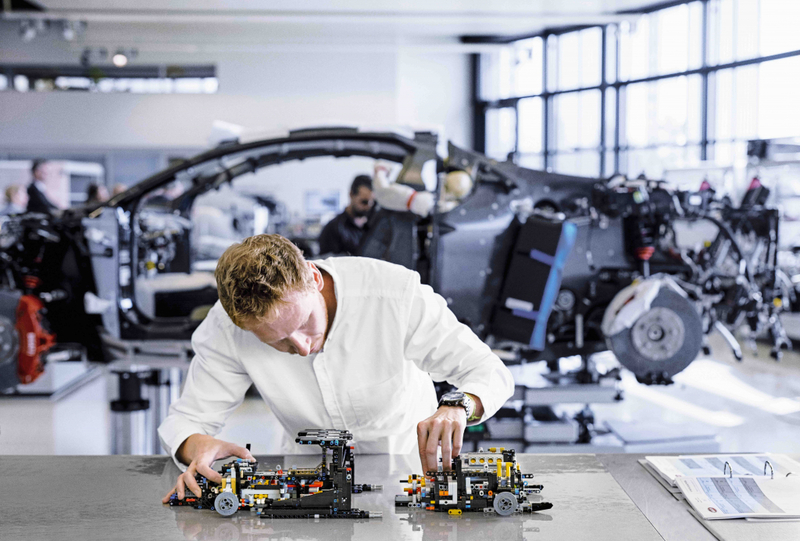 Every LEGO Technic Bugatti Chiron comes with its own unique serial number that’s carefully located under the bonnet and accessible only with a speed key – the tool unique to Bugatti cars that allow their owners to reach top speeds. The key also enables owners to switch the active rear wing from handling to top speed position. For those thinking £329.99 is a bit steep for a LEGO set, we need to remind you that this thing comes with a tiny Bugatti overnight bag that’s stashed underneath the bonnet. Lucky LEGO fans also receive a luxurious display box that includes a coffee table collector’s booklet with comprehensive building instructions. Come on, it’s the closest you’ll get to Bugatti Chiron and you know it. It’s on sale now and you can visit the site to find out more.